I watched the wood pigeon land in the garden and noticed that it's wing didn't look right, but there were so many wood pigeons and crows around over the summer having Battle of Britain-type flypasts and swooping and swinging around each other that I didn't think too much about it. I presumed it was a bit ruffled from getting a bit too close to another bird and it would fly off in a bit. Several hours later, it was still hiding under the garden table and the dog was not impressed at having what looked like a permanent feathery visitor in his garden. I wasn't that impressed either - we get a lot of wood pigeons in our garden and they are not very tidy visitors, stomping about on the vegetables, pooping on the cars, bashing at the bird feeders so that the smaller birds can't get near and generally being a birdy nuisance - and my first instinct was to leave it to take it's chances in the garden ... until I thought about the cats, and the local fox ... and I couldn't do it. I did an internet search on "broken bird wings" in case that's what it was and there was lots of technical stuff that seemed to involve wrapping the bird up in bandages and keeping it in a box. This pigeon was having none of it. As soon as I went outside, it headed off up the garden - and then nipped neatly into the greenhouse where it hid under some compost bags. I decided that I would leave it alone until I could work out how bad it's injury was and instead barricaded the door to stop cats and foxes getting in but not stopping pigeons getting out if they felt better. The pigeon stayed with us for about two weeks. I put food, water and a bath in the greenhouse and it got braver every day, coming out from under the compost bags and sitting on boxes and planters, getting closer and closer to the door. I'm not sure if the wing was actually broken rather than maybe sprained, but the internet searches said it would be better after a couple of weeks and as the pigeon wasn't moving it much, I figured that it was probably healing as well as it would if I'd tried to wrap it up. After about two weeks, when it had started to move it's wing again, I removed the barricade from the door and the pigeon came out into the garden for a short while before heading back to the greenhouse again. It was always called "the pigeon" - I didn't know if it was going to live at first, and I didn't know if something was going to eat it later, so I didn't want it to have a name. There had been an unfortunate incident a few years ago with "Dave Spikey" the hedgehog, who came to live briefly in our garden before attempting to cross the main road, and I didn't want to go through that again. 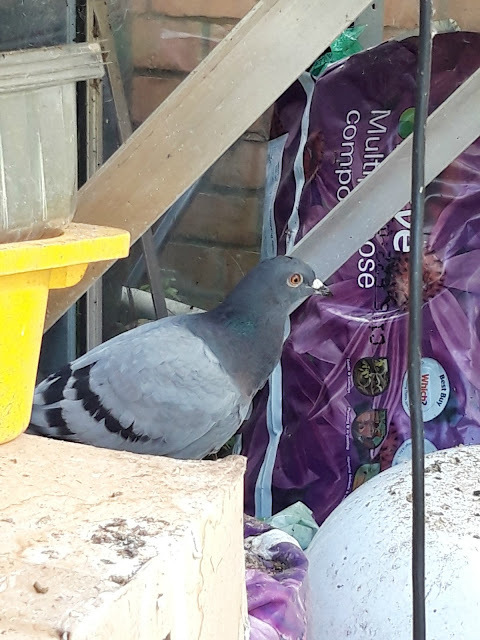 The pigeon has gone now; one day it walked out of the greenhouse and it didn't come back. We saw it sitting on the greenhouse roof and then it was gone. 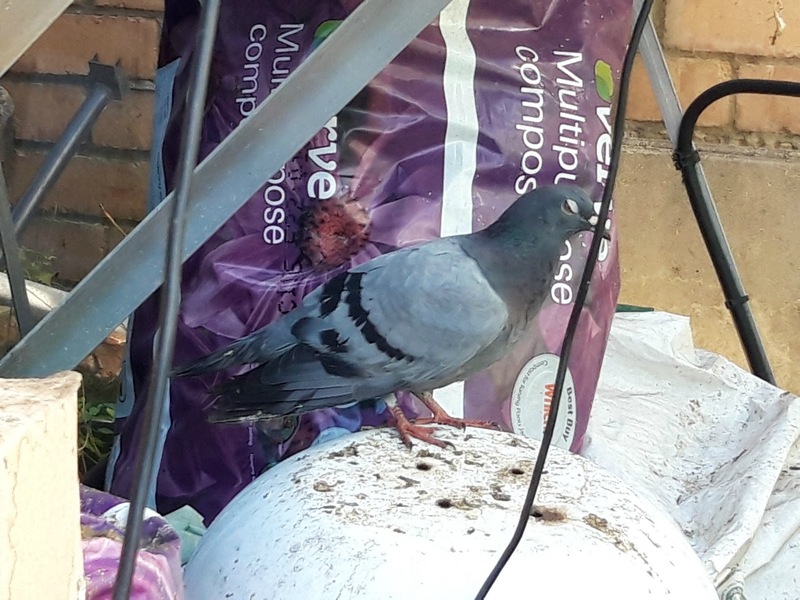 I'm hoping that it's having a nice life somewhere (I did keep a cautious eye out of the pigeon remains but haven't seen any), and I'm also hoping that it doesn't feel the need to come back and poop on the car! Our poor garden is looking very drab at the moment - it always happens at this time of year, doesn't it? I have started to cut everything back but I didn't finish and now it will have to wait until after Christmas. I didn't get the shed renovation finished either so that will have to be a job for the New Year as well. I'm trying not to beat myself up about all the things that I haven't done as there is so much that I have - it always so easy to see what's left on your list, isn't it? It's called a Cora Ball (in case you couldn't guess from the label! 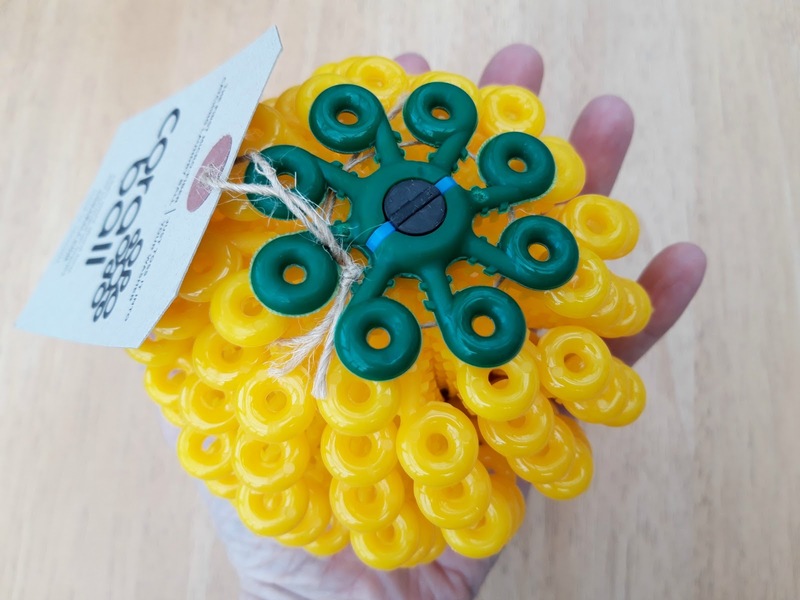 😀) and the idea is that it goes into the washing machine and collects the invisible microfibres from your clothes to prevent them being washed away down the drains, into the rivers and eventually into the ocean. It's a bit bigger than I expected! It's made from 100% recycled and recyclable plastic - when I posted this picture on Instagram there were a couple of people who weren't impressed by that, but I think that something that gives a new use to the plastic that we're overwhelmed with is a good thing. 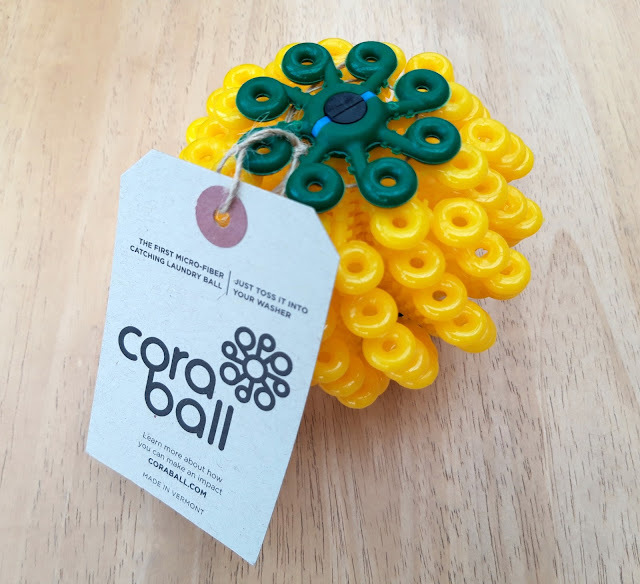 If I ever want to recycle the ball, I can send it back to Cora Ball and they will recycle it for me as it probably wouldn't go through our council scheme. The idea is that microfibres and hairs (dog hairs, cat hairs, teenage girl hairs) get caught in the octopus-like arms and then you collect it up and put it in the bin. Someone else on Instagram thought that was no better than it going into the ocean as what's in landfill gets washed into the ocean eventually, but I disagree. I think we have to do what we can when we can - and I am always delighted by anything that deals with hair in my washing machine! Cora Ball is an American invention and I bought my Cora Ball from a UK store; it wasn't cheap but I thought it would be more useful for me than the Guppy bags which you pack your washing into - this one collects the fibres from all the washing as it goes straight into the washing machine. It wasn't cheap, but as much as I'm hoping it collects microfibres, I'm also hoping that it prolongs the life of my washing machine by stopping it getting clogged up with hair. 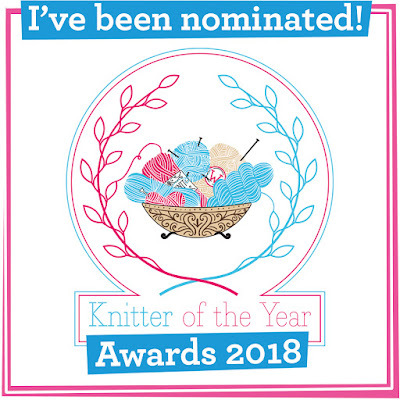 I've got two lovely things to tell you about before I go: the first is that I've been nominated as an Online Innovator in the Knit Now magazine Knitter of the Year Awards. 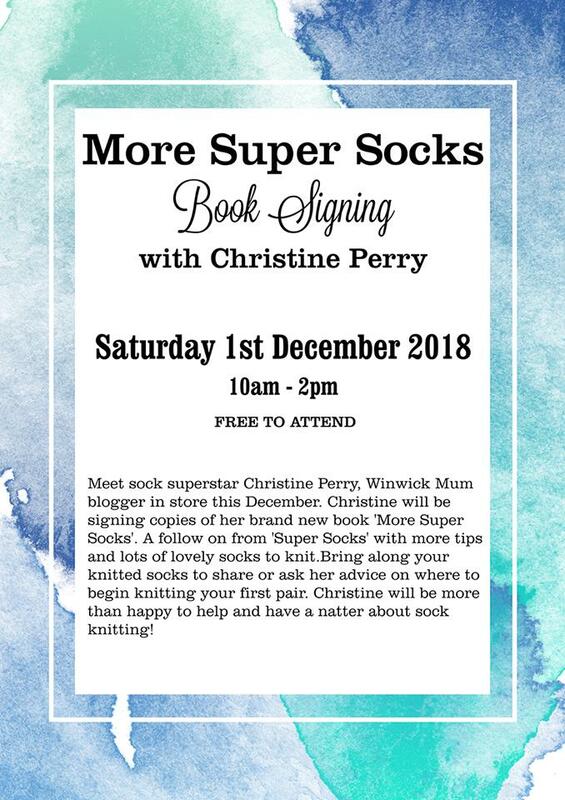 I am really thrilled about this and want to say a huge thank you to everyone who nominated me - not least because the very first award that Winwick Mum won was the Knit Now Knitter of the Year award, so it holds a special place in my heart. There are so many wonderful bloggers, vloggers and podcasters around that it really does make me feel like I've won just to be on the list of nominees, and I am also delighted to know that I'm obviously writing about stuff you want to read about! And finally, if you're in the Warrington area on Saturday, I'm going to be at Black Sheep Wools from 10am - 2pm to talk socks, admire socks, answer sock questions and sign copies of Super Socks and More Super Socks, so do come and say hello! It's going to be a sock-filled day! 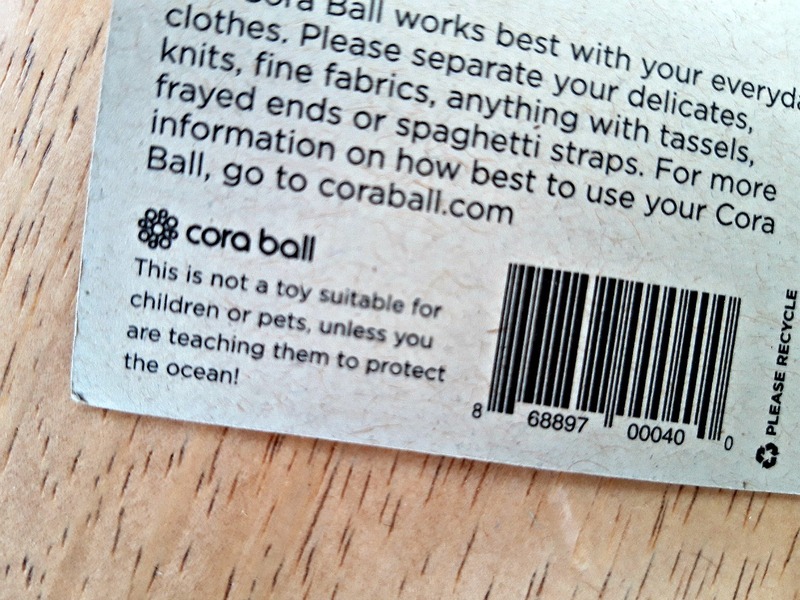 yeh, i can't see how that Coraball would work either? please do keep us updated on it though. so glad that your new book is doing well, would love to come to a signing but alas it's a bit far to swim! Congratulations on nomination. 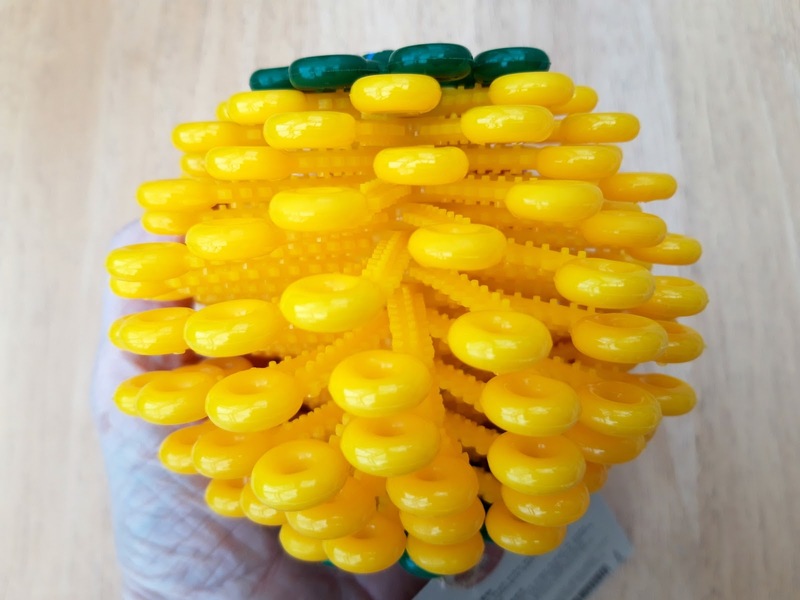 I have clicked the link and bought Cora balls for myself and as Xmas presents, hope you get commission. As you say not cheap but we are responsible for our future. Congratulations! I am planning to watch your video again to help me with the heel of my Christmas sock. I love your work. Nice to hear someone is trying to do something about waterborne microfibres. May get a Cornball myself - to go with the pink 'water softening' ball and the three blue and green 'instead of detergent' balls. BTW - to my eye that 'wood pigeon' of yours looks like either a Rock Dove (wild pigeon) or a plain ordinary common-or-city-garden feral pigeon. Think the kind you're not supposed to feed in Trafalgar Square. Just found your blog and downloaded your Basic Sock pattern - thanks so much! Hi Christine, a while since you posted so I do hope that things are okay with you and your family. I am very interested as to how you get on with the Cora Ball as I’ve looked at all sorts of things. I’ve bought some much cheaper lint catchers for the wash and I assume that’ll include catching the microfibres. I haven’t tried them out yet - don’t wash very often! The plastic problem has been around such a long time and I feel for Prince Charles in his endeavours over the years to raise awareness. It seems to take major television programmes to make people understand that we are facing an ecological disaster. I remember Claire Morsman posting pictures more than ten years ago to show the problems of plastic and what was being found in the stomachs of sea life. Her drive to get people to get rid of plastic shopping bags by giving out free fabric Morsbags that they have made is ongoing. My most recent change is a new water bottle. I looked at lots of lovely replacements – at very lovely prices – and settled on a £4 flask from my local supermarket. I can choose to carry a hot or cold drink and could buy seven more for the price of one stylish flask. I must get off my soapbox. I hope we hear from you soon.